From left to right: ?, Lou Osborn, Frank Jarvis, Ernie Goodsell, Charles Simmons, Bill Sands, ? Brabon. This photo may be of the Bodiam Auxillary Unit Patrol. 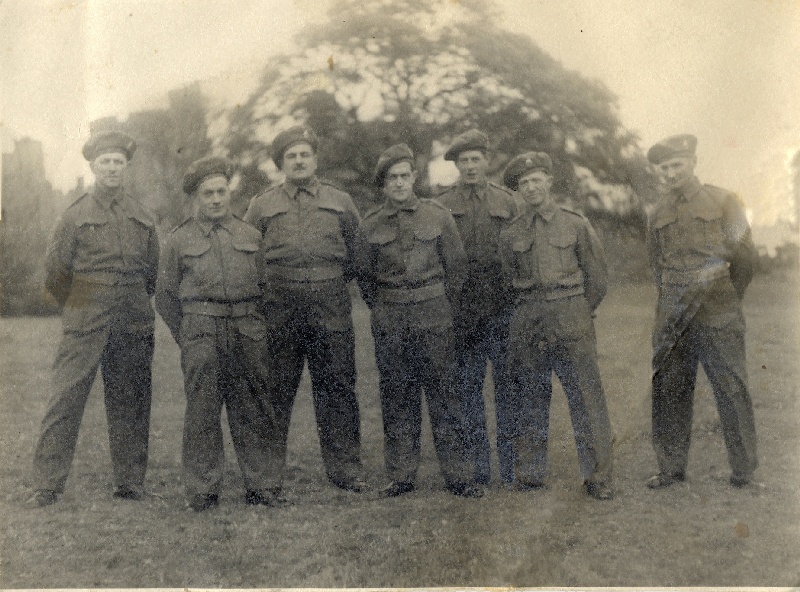 Auxiliary Units were a secret resistance network of highly trained volunteers prepared to be Britain's last ditch line of defence during World War Two. They operated in a network of cells from hidden underground bases around the UK. Ernest W A Goodsell of Bodiam. S G Barber of Bodiam.